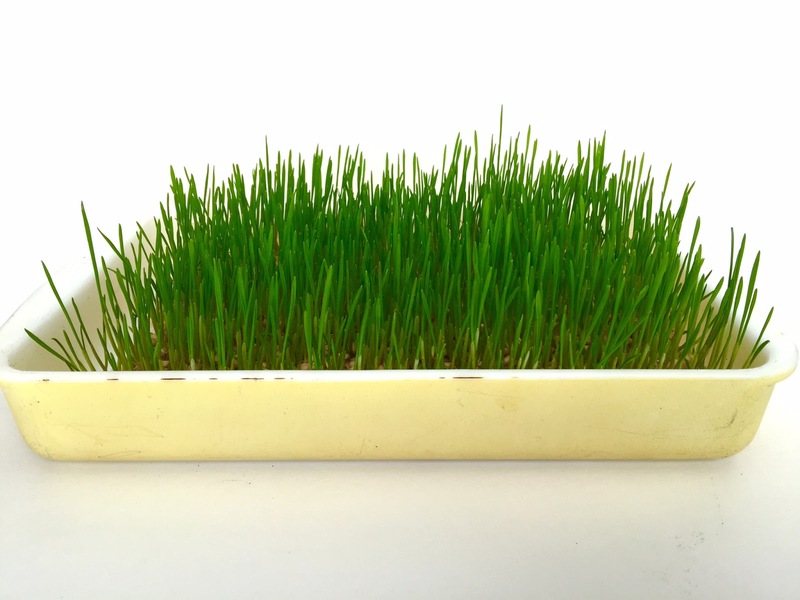 Today on Studio 5, I shared my new favorite way to grow wheat grass... On a paper towel! This process takes 11 days. Soak your wheat in water for 24-48 hours. 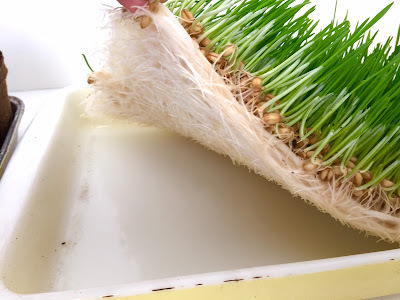 Get 3 layers of paper towels wet, and lay them in the bottom of the container you plan to grow your wheat grass in. Get 2 more layers of wet paper towels, and place over the top of the wheat. Spray with a water bottle multiple times throughout the day, and make sure they are moist at all times. 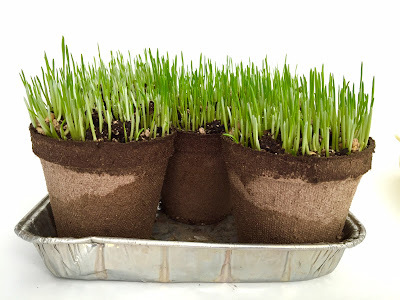 Once the wheat starts to sprout, remove the top layer of paper towel, and continue to spritz with water to maintain moisture. This is a comparison picture of the soil and the paper towel method on day 5. You can see the wheat grass on the paper towel is doing way better much earlier. The roots will grow into the paper towels like this. This is a comparison of paper towel grass and soil grass on day 8. On day 11, you can trim the top of the wheat to an even level, and cut around the bottom, to make the shape of the container you plan to use for display. One thing I really like about it, is that you can put it on a plate, and it looks clean, and there is no soil to deal with. It's really pretty! We get it from Gregory's in Bountiful, Utah.